Nimbus Professional automatically pushes your Client and Contact data directly from MYOB AE Practice Management to your Nimbus Portal, saving you time and eliminating manual double-entry. Integrate Nimbus with your MYOB AE Practice Management system and securely share, edit and sign documents with your Clients in the Cloud. 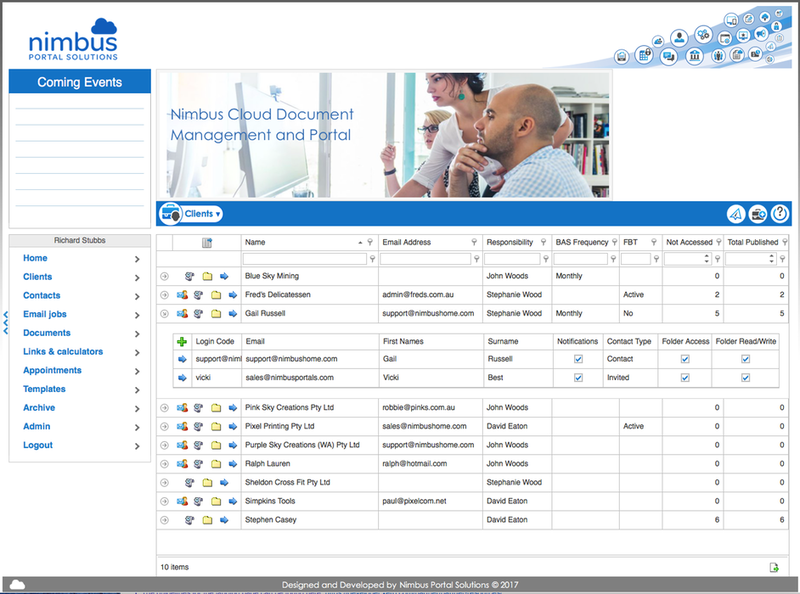 Add on Nimbus CDM for a full featured Cloud Document Management system. Your Nimbus Portal is all online, so you can work when and where you want to. Just login with your PC, Mac or mobile.